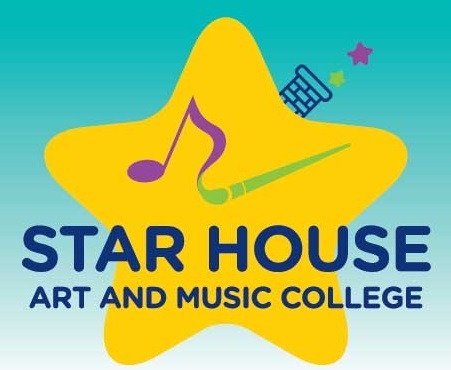 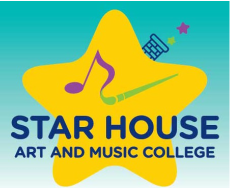 ​Inspire the imagination these holidays and enrol your children in the Star House Art and Music College's Creative Class Art program. 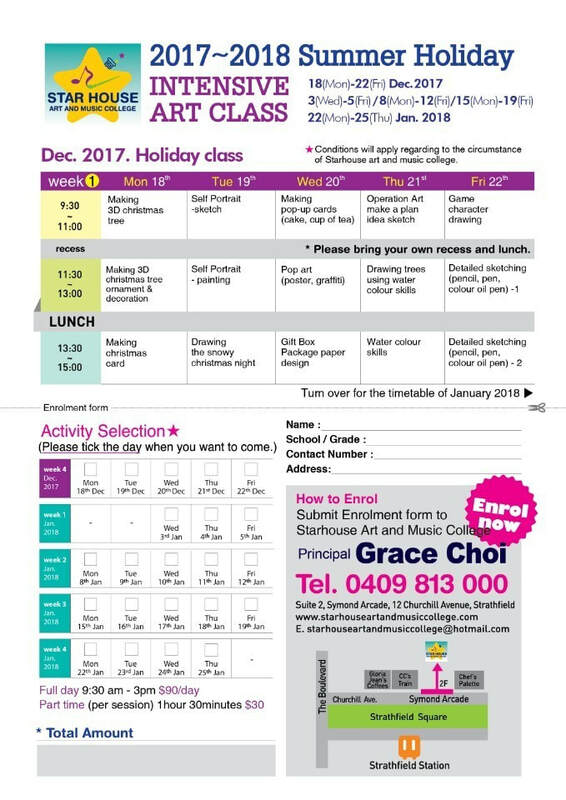 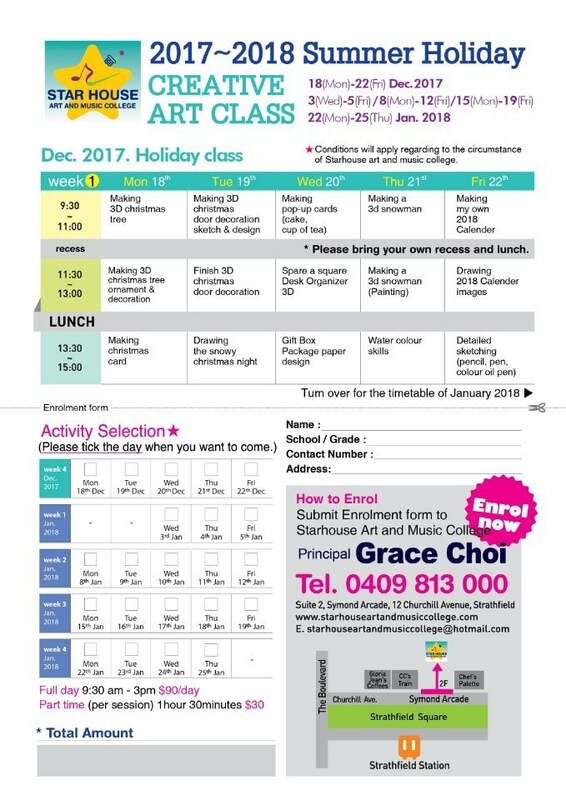 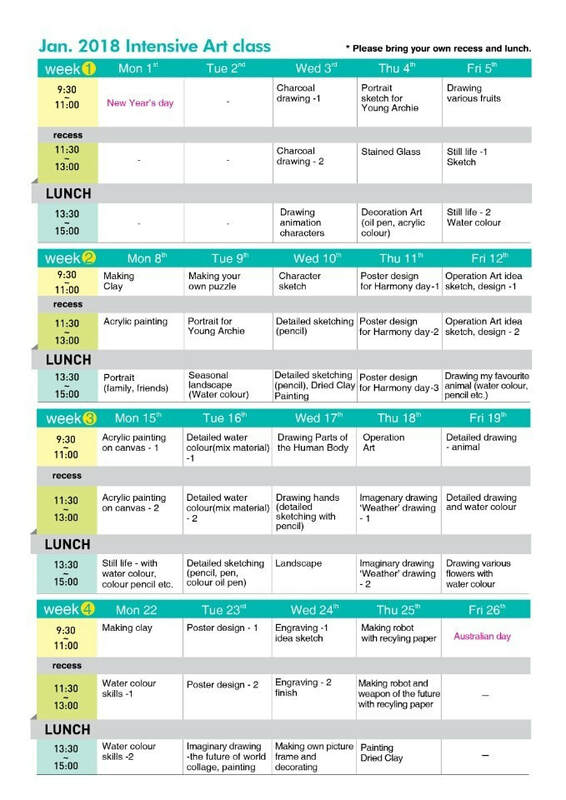 It is fun and educational School Holiday Workshops for students aged from Kindergarten to Year 12 Students (Aged 4 to 18 year olds) taught by our famous art director John Jeong and qualified art teachers, students learn new skills, have fun in the process and produce unique artworks. 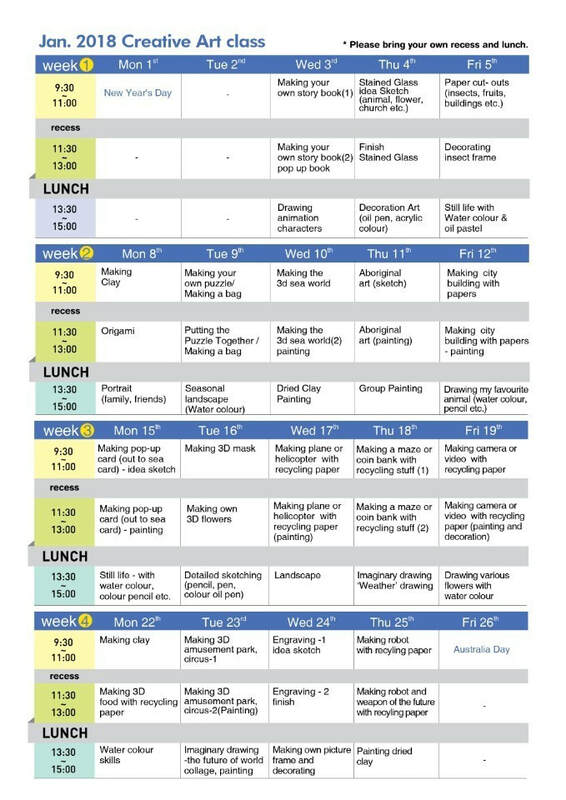 Plenty of creative workshops to choose from such as; Art making, Landscapes, Portraits, Stained Glass works and Art Competiton preparation. 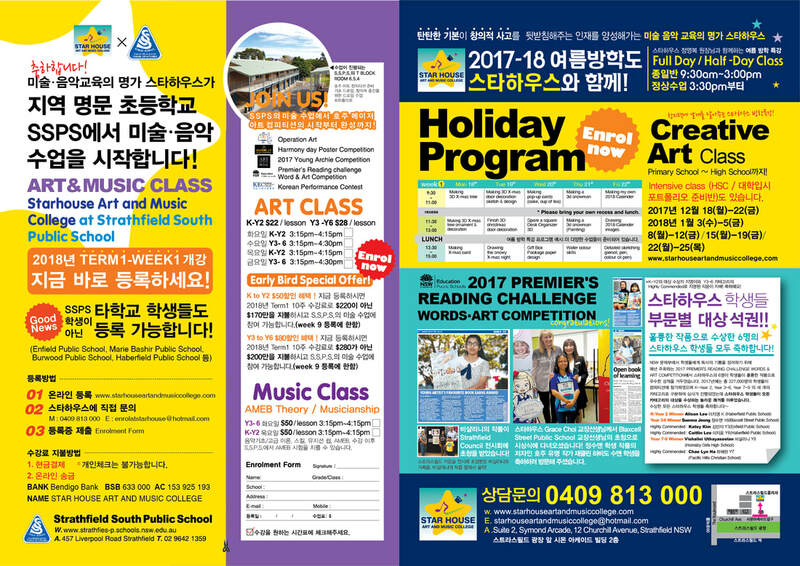 The Intensive Art Class program is beneficial for students to improve their creativity skills, artistic skills and making new friends. 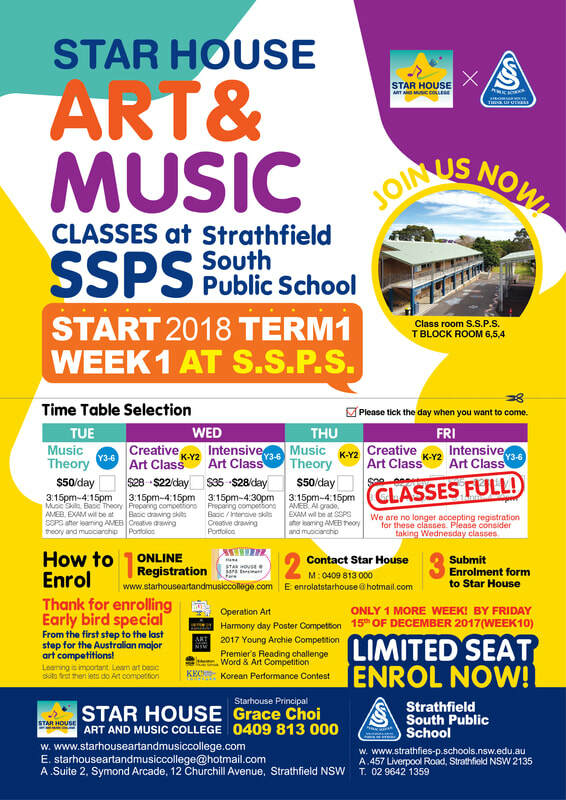 In addition, it is a fantastic program for students that is pursuing visual art and design excellence for various art competitions, scholarships, portfolio and HSC preparation.